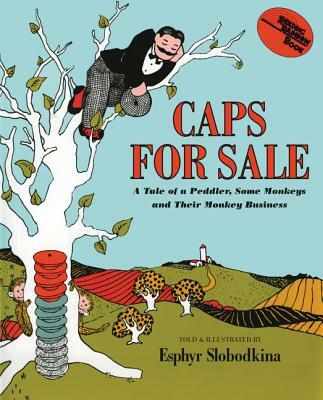 Caps for Sale is a timeless classic beloved by millions...one of the most popular picture books ever published! Children will delight in following the peddler’s efforts to outwit the monkeys and will ask to read it again and again. Caps for Sale is an excellent easy-to-read book that includes repetition, patterns, and colors, perfect for early readers. This tale of a peddler and a band of mischievous monkeys is filled with warmth, humor, and simplicity and also teaches children about problem and resolution. Esphyr Slobodkina (1908–2002), internationally renowned artist and author of the children's classic Caps for Sale, was among the first female American artists to explore abstraction and the first to use collage in American storybooks. She studied art in Russia and China before immigrating to the United States in 1928. She was a founding member of the American Abstract Artists group, and her work is represented in prominent museum collections across the country.